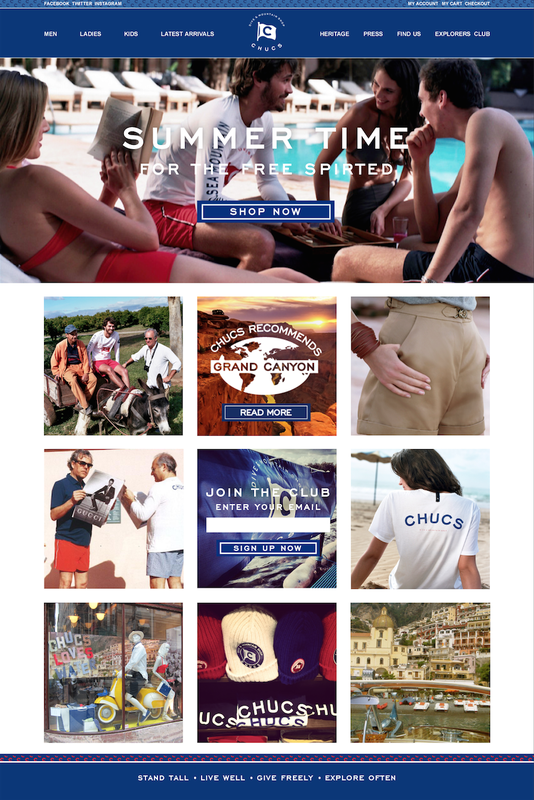 CHUCS is a luxury swimwear brand based in the heart of Mayfair. Although in-store sales were strong, the company’s online presence struggled to perform in the same manner. At the time they approached us, their site had sold around £10k total in its two-year lifetime . The site was extremely slow, non-responsive and was struggling with search engine results. Additionally, the user interface caused unnecessary hurdles that hindered sales. On a limited budget, they briefed us to take whatever action was necessary to boost online sales and enhance community growth and engagement within their 800 followers. The redevelopment of the CHUCS website on a comprehensive and scalable platform (called Magento) and high standards of SEO were implemented. Alongside this, the development was optimised for rapid page loading, reducing the average loading time from 10 seconds to just under one second per page. 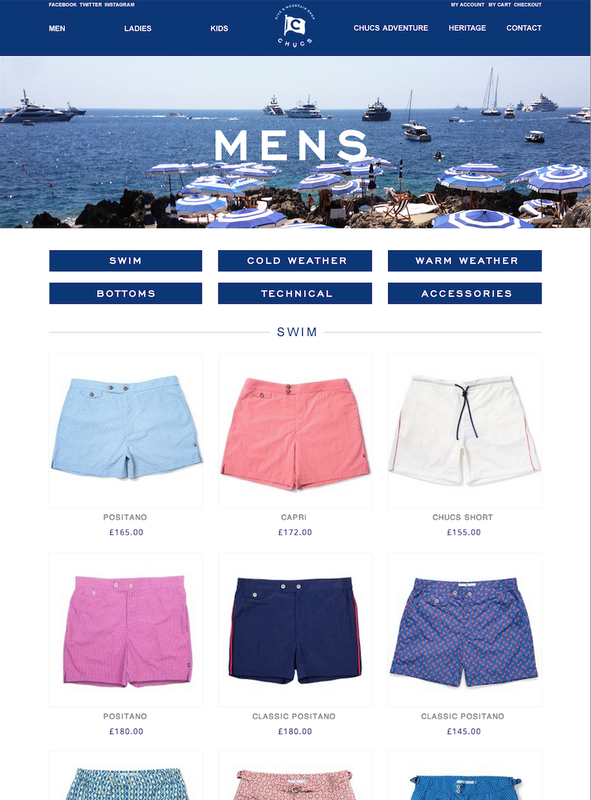 Analysis of the old site had demonstrated key hurdles for purchase; the redesign seamlessly removed any blocks to purchase while maintaining a high-end design aesthetic that suited the brand ethos. Throughout the rapid redevelopment, we launched a social media campaign to increase the reach to potential customers. The drop off of user flow throughout the site was greatly improved by the refreshed design. The CHUCS community on twitter grew from 500 followers to 27,000 followers. As a result, the site had transactions worth over £200K in 8 months. Due to the success in this period, the brand was bought out by a venture capital group in a multi-pound deal and is currently undergoing a redesign of all clothing lines.